MBJ provided structural engineering services to design a new two-story, 10,000 square foot building for conferencing and student education. 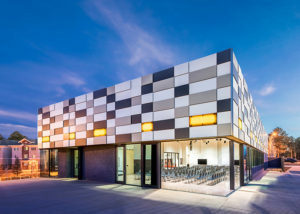 The building features a highly functional auditorium suited for a mediated audience, with a computer lab and two breakout areas on the first floor. The second floor contains offices and open meeting areas. 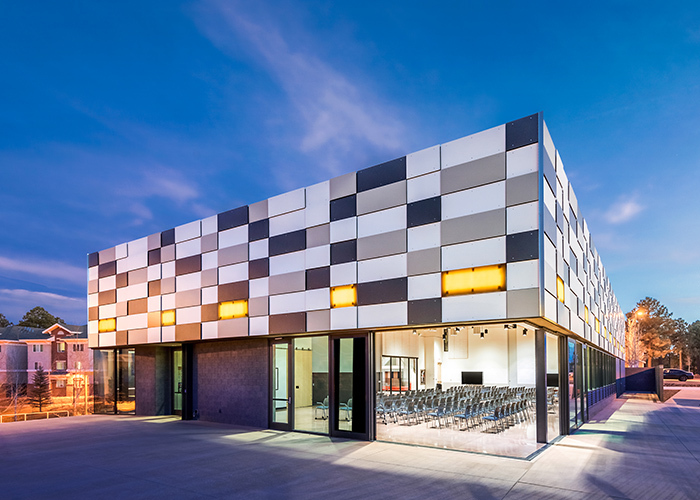 Operable walls make the building flexible for a variety of functions. This exceptionally sustainable building meets both LEED Platinum and Net Zero Energy Building standards with features that include an oculus, sky lights for daylighting, radiant-heat concrete floors, solar energy, natural ventilation, and low height to minimize materials use.